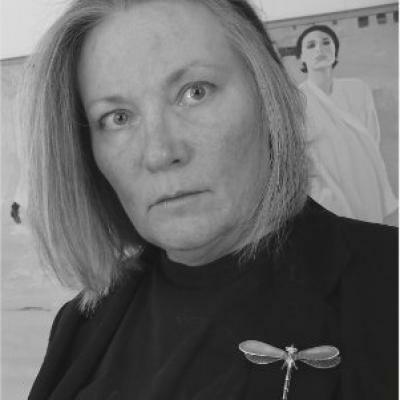 Fine artist Heidi Hardin is pleased to present Families in Paradise (The Four Jews), which is Part II of her extended project, The Human Family Tree Project/A Walk Through Paradise… seven installations (The Paradise Project) from October 1 through December 30, 2018, at Think Round Fine Arts, located at 2140 Bush Street, Suite 1, San Francisco, CA 94115. Fifteen years in the making, Families in Paradise… mounts 78 portraits of four Jewish families of different ethnicity whom have traveled to America to make their homes. This installation is Part II of Hardin’s extended project, Human Family Tree/A Walk through Paradise…seven installations. Paradise… is an evocative multimedia meditation on the experiences we share, regardless of faith, culture, or ethnicity, and centers on families who are followers of seven major world religions. Each successive installation focuses on a single religion, presenting 78 freestanding portraits along with touching objects, environmental displays, and 36 original soundscapes and music by Los Angeles composer, Jonathan Sacks, and mixed media artworks by San Francisco fine artist Rachel Leibman. Snapshots from family photo albums transcribed into genre painting offer an unexpected window into the shared human experiences that bridge the personal and the universal. A labyrinth of footpaths and columns replicating the mythic Tree of Life creates a ‘walk through paradise’ among the paintings for viewers. On a symbolic level, these installations explore ideas about cultural self-definition, the pervasiveness of the American dream, the universality of, and new directions imagined for, the human family and their faiths. As human longevity extends dramatically, and broken heartstrings from family trauma can be healed in special therapies offered by Think Round Inc this project is a call to human beings to consciously decide to manifest heaven on earth, paradise. Please join Heidi Hardin, Jonathan Sacks, and Rachel Leibman, for ArtSpan’s 2018 Open Studio and beyond, for this exaltation of art, culture, and family. 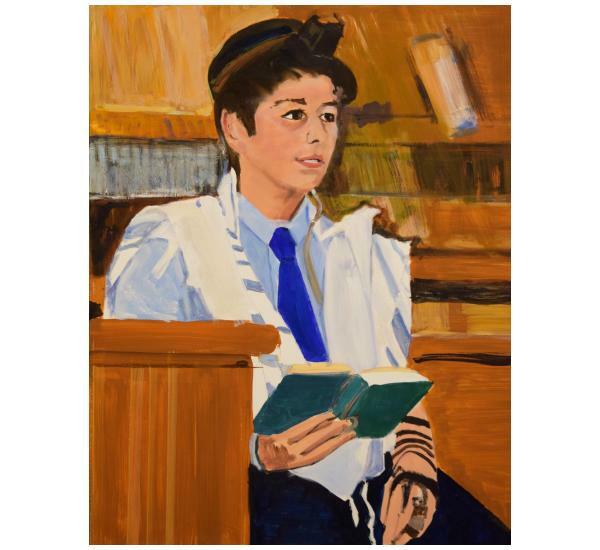 A full program of Family Art Making Workshops, Artist Talks, Guest Speakers and Panel Discussions, Interactive 3-D Digital Demonstrations, Performances, Jewish Immigration Story Telling, and much more, will accompany this exhibit on Saturdays, from 10-noon, beginning October 14 through December 30. Hardin will lead Guided Walk-Through Meditations every Sunday from 4-5:30 pm, and Human Family Suppers on Tuesday evenings from 6-8PM. School tours will be held and led by Heidi Hardin on weekday afternoons as requested. All classes and activities and refreshments are free of charge. Please visit: http://www.thinkround.org/index/#/our-artists/ for a full calendar of events. Think Round Fine Arts is located at 2140 Bush Street, Suite 1, San Francisco, CA 94115. For more information please call Heidi at 415-602-9599 or email: [email protected]. Gallery hours are 9-noon, Tuesdays and Thursdays, and by appointment. The opening reception for Heidi Hardin and her other artists is on Saturday and Sunday, October 13th and 14th, from 11 am to 6 pm, with Artist Talks at 5 pm each day.